Get a Great Gift for a Good Cause. As part of the of the gift-giving season this year, you can skip the lines and take part in Spinal Cord Injury BC’s (SCI BC) online ‘Gifts for Good’ event on 32 Auctions. Make the most of the final days and support SCI BC before the event finishes at 10pm PST on Sunday December 4th. Among the featured items on sale, there’s a complimentary dinner for four at the Hemingway Public House, a VIA Rail Travel Gift Certificate and a Burrowing Owl Estate Winery including many other gifts ranging from toys, jewellery, and one-of-a-kind experiences. It’s all for a great cause, Spinal Cord Injury BC’s work for those affected by spinal cord injuries and related physical disabilities and the rehabilitation showcases the ongoing dedication to BC communities. 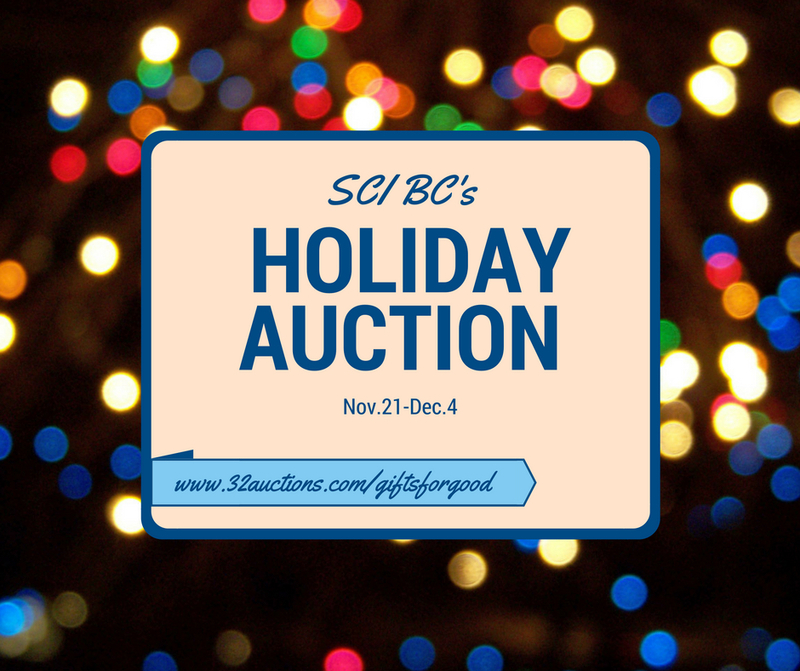 To learn more about SCI BC’s ‘Gifts for Good’ you can visit the online auction here.